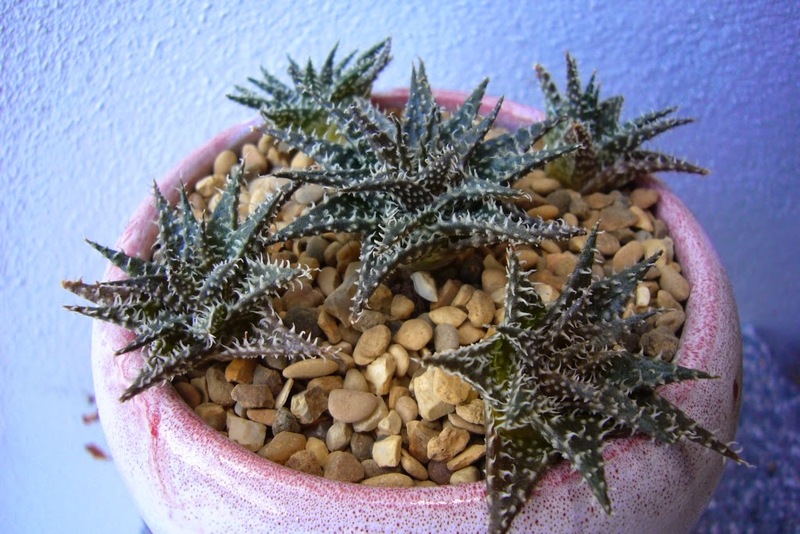 Spiky obsession: Another slippery slope. 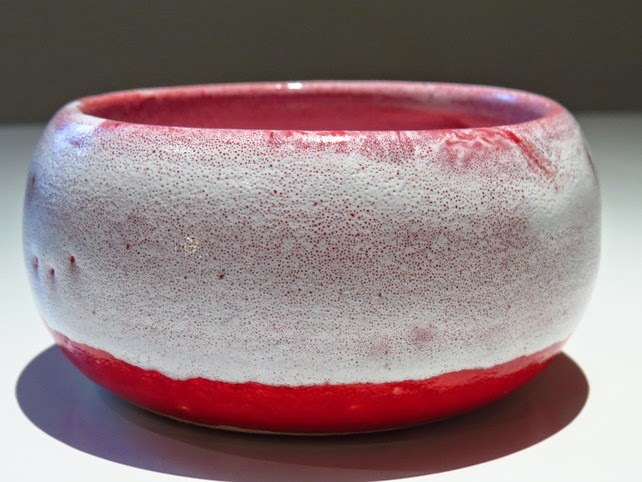 I have mentioned my search for hand made plant pots before, here and here. With nothing turning up in garden centres and shows, the search moved to the internet in the hope of finally finding something to use in this springs potting up. 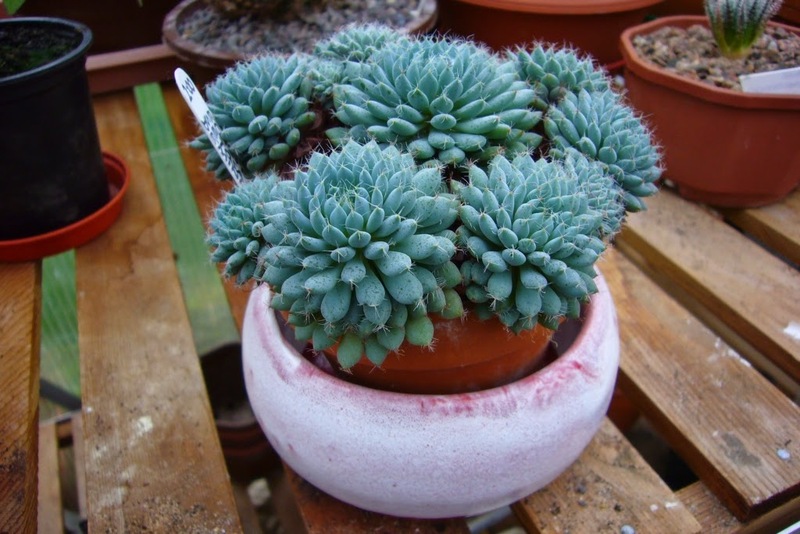 It seems there are lots of hand made pots, but very few made for succulents in the UK. The first round of searching finally led to The Cats' Pyjamas, on Folksy. They had one little pot which looked like a good starting place. May work, but will grow and need to be re-potted, so that one is out. Something softer perhaps, echeveria galaxy hybrid. To big already and will only continue to grow. Something that will clump and then when it fills the pot do something interesting, abromeitiella chlorantha. On the right track, maybe the pot is a little too clean for that one. This plant needs something more rugged. 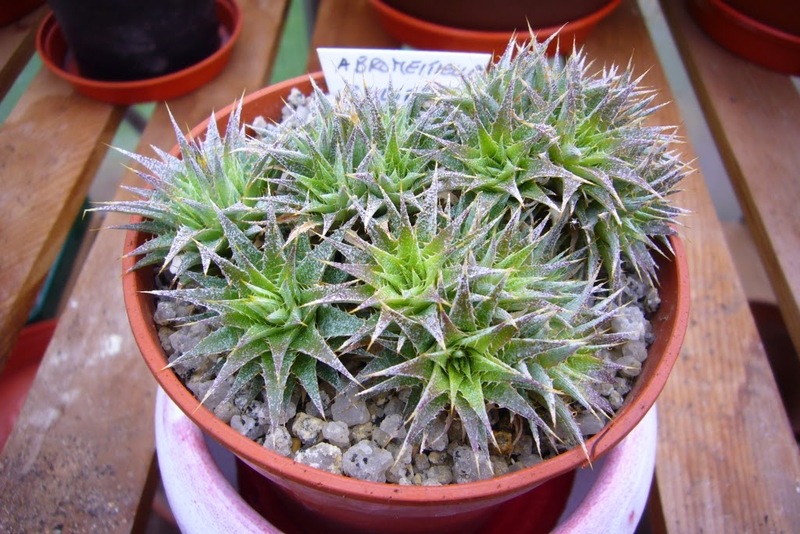 That's when aloe haworthioides x descoingsii took the top spot. It is small and fairly slow growing. Clump forming and it will be interesting to see what it does when the pot is full. 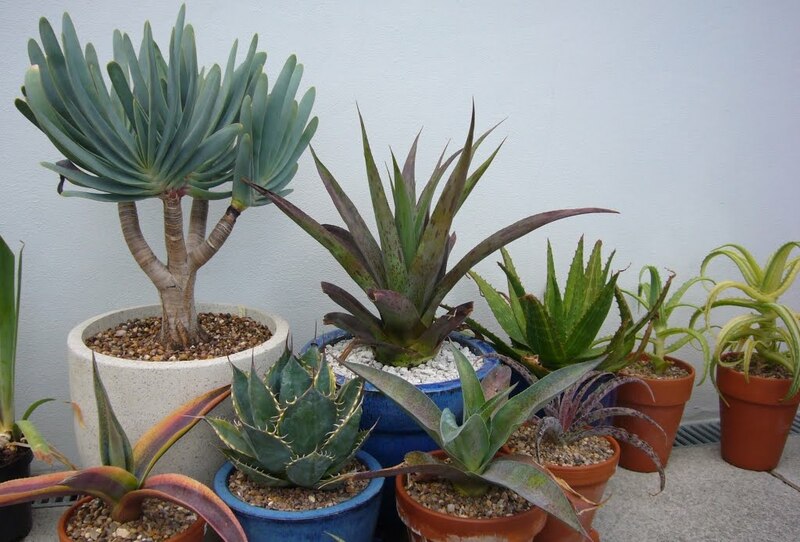 Wont need re-potting. It is softer than the abromeitiella with a very similar look. Plus the colour is great. 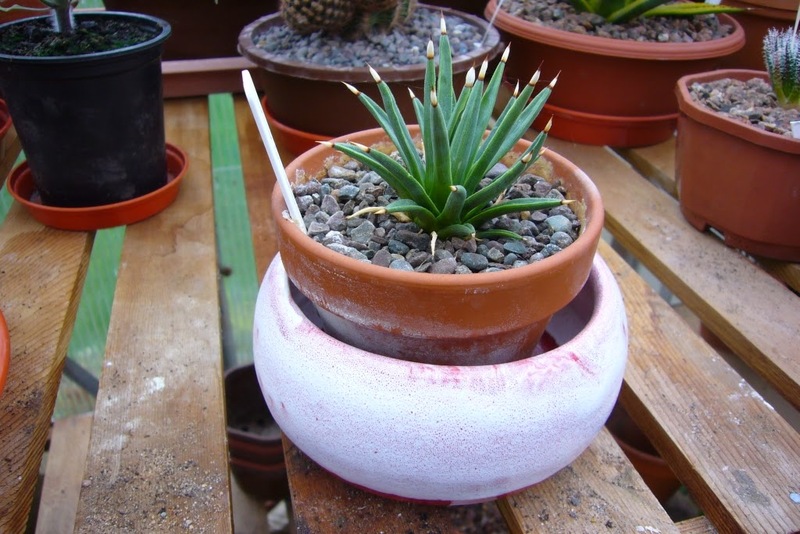 This is one of my favourite aloes, so it seems fit it ended up with the first posh pot. I say first as having started the search it seems rude not to continue it. There are a couple more things in the pipeline so watch this space. Needless to say I now need a special pot for lots of my plants, it seems plant pot shopping is almost as addictive as plant buying.